"Leveraging the Voice of Business for Community Good"
we are looking to build on the success of our Community Vision. ​premier city in the North State. The Chico Chamber of Commerce released the 2019 Special Report from the Task Force on City Revenues & Expenditures, calling the City of Chico and community to continue to action around exploring a revenue measure to meet immediate community needs like housing solutions for creating more longtime housing availability, roadway improvements by dramatically increasing road funding, and a reduction in crime by funding a proactive policing model. The Chamber’s goal is to make Chico the safest, most premier, vibrant city in the North State. April 8, 2019 - The Chico City Council has proposed a Comprehensive Cannabis Policy (ordinance) for Chico CA. A single, unified ordinance addressing personal, commercial and land use (option to separate), and the creation of community-driven committee to hear issues, complaints, report to an advisory Council. At the Council meeting April 2, 2019, the Chamber was granted a seat on the Commercial Cannabis Citizen’s Advisory Committee. In order to get an understanding of our member’s views on this ordinance, we are requesting input on this proposal. Please take a few minutes to complete the survey. Thank you! 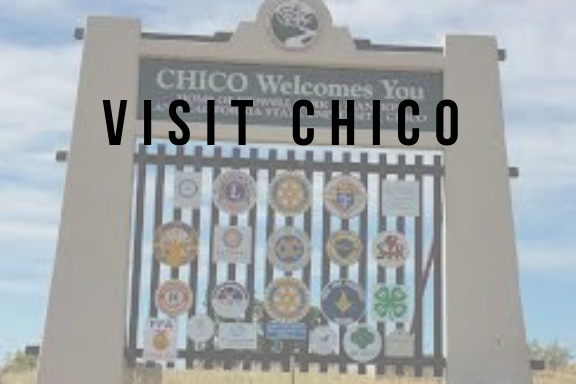 March 25, 2019 - In 2018 the Chico Chamber Special Report started the conversation in the areas of public safety needs, and “paving a way to solutions” for our local roads. In this episode,we have a candid conversation about this newly released report with Jolene Francis, Director of Advancement & Communications at Enloe Medical Center, Chico Chamber Board of Directors Chair Elect and Chair for the Task Force on City Revenues and Expenditures. If you haven’t read the Special Report go to www.chicochmber.com and you will find the history of the Community Vision and the 2018 and 2019 Special Report on our publications page. Click here for Episode #29. February 6, 2019 - The Chico Chamber was recognized for the Chico Retail Watch Program at the 2019 Western Association of Chamber Executives Conference held in Anaheim, CA. The Retail Watch Program is in collaboration with the Chico Police Department an Downtown Chico Business Association. Monthly Retail Watch meetings take place with local retailers to help decrease shoplifting in Chico. For more information: click HERE. Thinking of relocating to Chico? We are ready to welcome you! We have all the resources you need to make your transition easy! 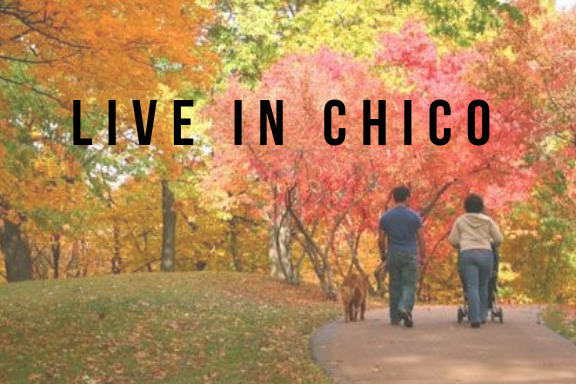 Whether you’re thinking about planning a trip to our cool little gem of a town, planning on attending Chico State, or looking to relocate to the area, Chico welcomes you!